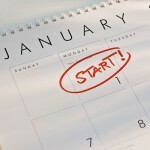 PART ONE: Resolutions you can keep! Is that true? Is he right? Are we foolish for making resolutions? Are we weak for not keeping them? I don’t believe so because my own life contradicts these quotes. I have made many goals at New Year’s that I’ve kept. I’ve decided to write books, and I’ve written them. I’ve said I would get in shape, and I’ve gotten in shape. I’ve planned to read the Bible through in a year, and I’ve read it in five months. I’ve resolved to get a handle on my finances, and I’ve stuck to a budget. I think we have two problems when it comes to New Year’s resolutions. We buy the cynicism of Twain and others, so we go into the goal-setting process anticipating failure. And we simply do not know how to make good goals. Over the next few days, I will post my suggestions for how to make quality resolutions you can actually keep. I know these ideas work because I’ve followed them in past years, and people have been sick of hearing about my books ever since.